The last men's scarf pattern I wrote elicited elicited some envy, so I made another. It's a nice man-friendly texture that's fast and easy to knit up. 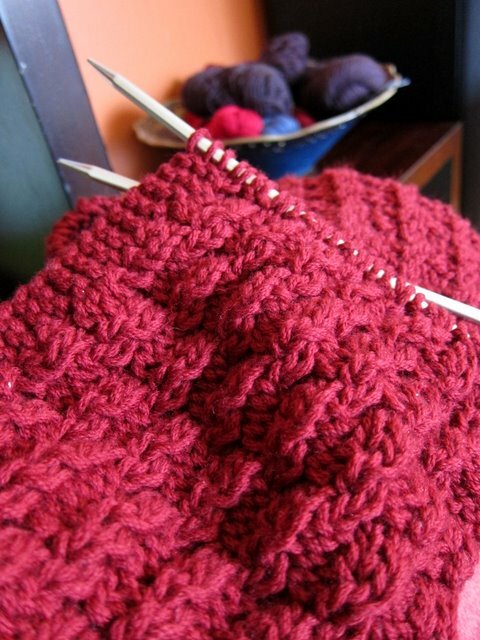 The big needles, bulkier yarn and easy to memorize pattern make this a good pattern for beginners. The scarf is 8" wide, which is pretty wide. 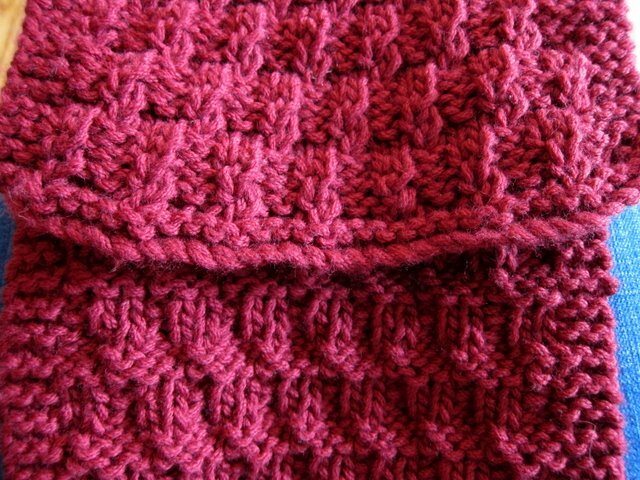 If you'd prefer a narrower scarf, you can reduce the width by 4 stitch increments. Cable cast on 34 sts. Row 1: K3, *p2, LT* Repeat from * to * until final 3 sts, k3. Row 2: K3, *p2, k2* Repeat from * to * until final 3 sts, k3. Row 7: K3, *LT, p2* Repeat from * to * until final 3 sts, k3. Row 8: K3, *k2, p2* Repeat from * to * until final 3 sts, k3. Repeat pattern until scarf measures 60″, or you run low on yarn.